Below you can find the Assignments Abroad Times newspaper dated 9th February 2019. Full gulf jobs advertisement have been curated below just for you. Contact the recruiter through the contact information mentioned in each newspaper ad for your suitable job. 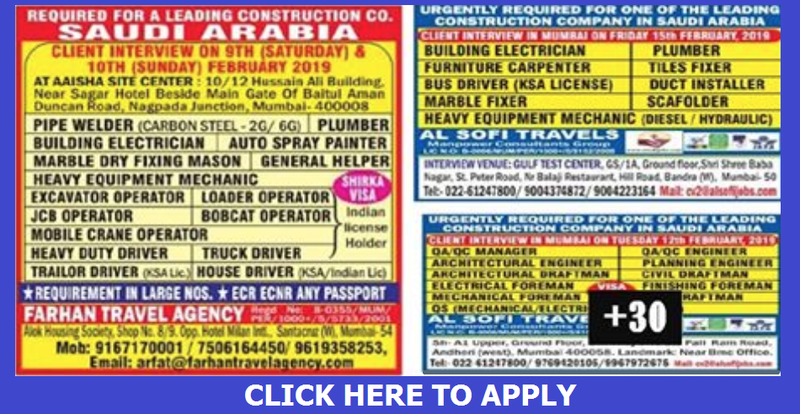 2 Responses to "RECRUITMENT TO SAUDI ARABIA - ASSIGNMENTS ABROAD TIMES FULL JOB ADVERTISEMENT | APPLY NOW"